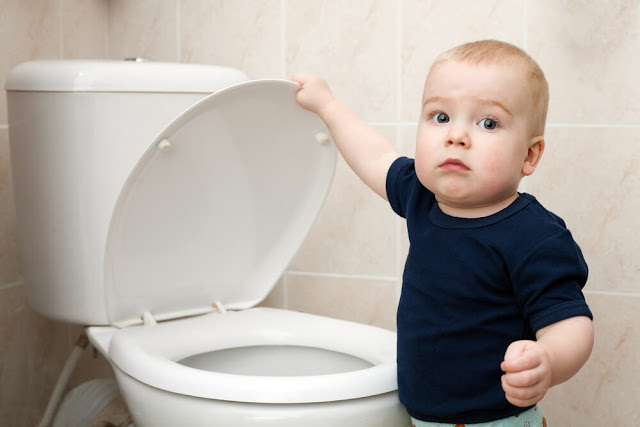 Constipation is one of the most common problems not only for adults but for the babies also. Babies can’t say this but it’s very difficult to see babies suffering and crying due to the pain and irritation of constipation. If the bowel movements are less frequent than usual it means your baby is suffering from constipation. Don’t worry by using natural home remedies you can get rid of constipation in infant or babies. Massaging your baby’s stomach is an easy and effective home remedy for constipation in infants. When you massage the baby’s stomach and lower abdomen it stimulates the bowel movements. This remedy also helps in relieving gas and colic pain in infants. Keep your baby in lying position. Now put some warm olive oil or coconut oil on the stomach of the baby. By using 2 finger widths away from the navel, gently massage the stomach in a clockwise direction for 3 to 4 minutes. Do this type of massage 2-3 times a day, until your child has a bowel movement. To get rid of constipation in young babies you can try some light exercises. Exercise helps to improve digestion and makes the bowel movements regular, thus treating constipation in infants. An active baby has the fewer chances of suffering from stomach pain, gas, and constipation. If your baby can crawl then encourage him to do a few laps. Hey, leg bicycle exercise is the favorite exercise of babies. Keep your baby in lying position hold the legs in a half-bent position and gently begin to move your baby’s legs as if riding a bicycle. Fennel seeds are also the natural treatment for constipation in babies. Fennel seeds are responsible for smooth muscle movement in the digestive tract and also prevents from gas and stomach pain. Add crushed fennel seeds in 2 cups of water. Allow it to simmer for 10-12 minutes. train it and allow it to cool. Now give the ½ teaspoon of this solution to your baby few times a day. If your baby is suffering from constipation than warm water bath can help to get rid of constipation. Fill the baby’s bath tub with warm water. Now give a bath to your baby in the warm water. Give a tummy massage as you are drying your baby. Dehydration is also the cause of constipation so proper hydration is necessary for regular bowel movements. For infants or small babies, milk and water are the best options to keep them hydrated and also help their digestive tract to function smoothly. This will ensure the regular bowel movements and also help to prevent from gas and stomach pain. Give your baby water at regular intervals of time. In addition, breastfeed your baby or give him milk. Prunes are high in fiber content that can help to fight constipation in babies and infants. Mix 1-2 tablespoons of prune juice in milk or in normal water. Give it to your baby 1-2 times a day to get rrelief from constipation problem. This is for up to 6 months old infants. For older infants- mix prune juice to your baby’s formula before feeding. If your baby can eat fruits then you can give him fruits to eat. Apple juice contains pectin that encourages regular smooth bowel movements. You can give a small amount of apple juice to get relief from constipation. The quantity of apple juice is 2-4 ounces for toddlers and 4-6 ounces for older infants in a day. Extract the juice from apple at your home. Don’t use packed juice.